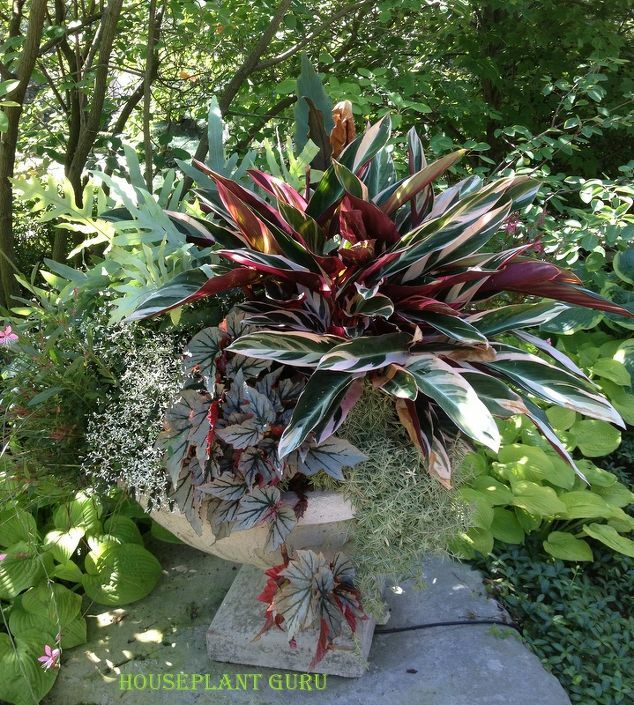 By Lisa, an outdoor container which makes good use of plants usually considered houseplants. New member, Pat F*., has opened her home for the April meeting. This is a chance to see a beautiful Elizabethan-style home that many of us have not been in before. As our last regular meeting before the May Outing, there will be a lot going on. Do not miss out! The meeting with start at 7:00pm with refreshments, including wine & non-alcoholic beverages, and conversation. At 7:30, we will have a business meeting with four big news items. (1) We should have a report about our April 9 Pancake Breakfast. (2) Plans will be made for Daffodil Day Luncheon on April 20, at the Detroit Yacht Club. As the only WNFGA branch in Detroit, we serve as hostesses on Belle Isle. It you have not yet signed up, please do. (3) The Tour Committee will have news and be recruiting for the Tour on June 11-12. (4) The Indian Village Historical Collections Lighting committee will have a report about us receiving a 2016 Governor’s Awards for Historic Preservation in Lansing on May 3. Spring is a busy season for our garden club and not only in the garden! The program will start promptly at 8:00pm with our speaker Lisa Steinkopf, the Houseplant Guru. The topic is “Contained Tropicals in the Heartland”. In a Powerpoint presentation, Lisa will explain how houseplants aren’t just for the house. They can be used as the “thrillers, spillers, and fillers” in your summer containers. We will learn the best ones to use and what’s available at local garden centers. Below is a brief biography of Lisa from the Chicago Garden Show website. Lisa has been gardening since she was a child, helping in the family vegetable garden and her mother’s flower garden. Whereas, she loves outdoor gardening, her true passion lies indoors, with houseplants. She has 100s of them in her home and sunroom, many over 30 years old. She is a member of an African violet club, and the Michigan Cactus and Succulent Society. Lisa is a Certified Indoor Landscape Technician, a Certified Green Industry Professional, a Michigan Certified Nurseryman, and a member of the Garden Writer’s Association. 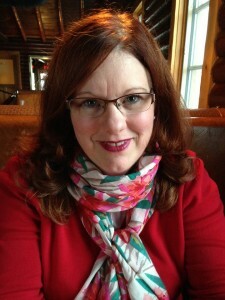 She writes articles for Michigan Gardener Magazine, Michigan Gardening Magazine, HGTVgardens.com, MNLA magazine, and has been featured in Real Simple Magazine. She lectures extensively in Michigan for Master Gardener groups, garden clubs, and local garden centers. She has been involved in the nursery and garden center industry for over 25 years. *Members, check your email meeting notice for more information.